Jump into a world class submarine and follow the Hidden Expedition Adventure Team to Devil`s Island! 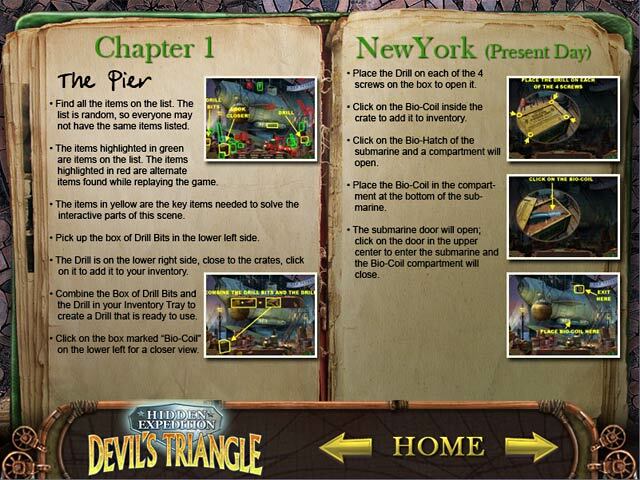 Help track down Phoebe, a famous ace pilot lost in the infamous Bermuda Triangle, while trying to solve the mysterious phenomenon of the island. 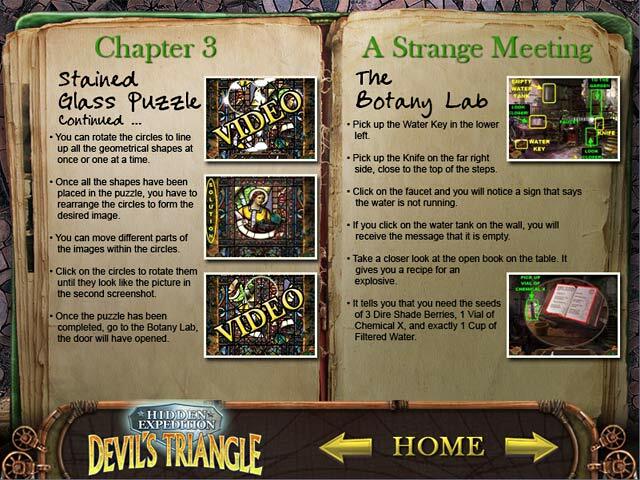 Use your helpful Strategy Guide to piece together clues and solve perplexing puzzles. 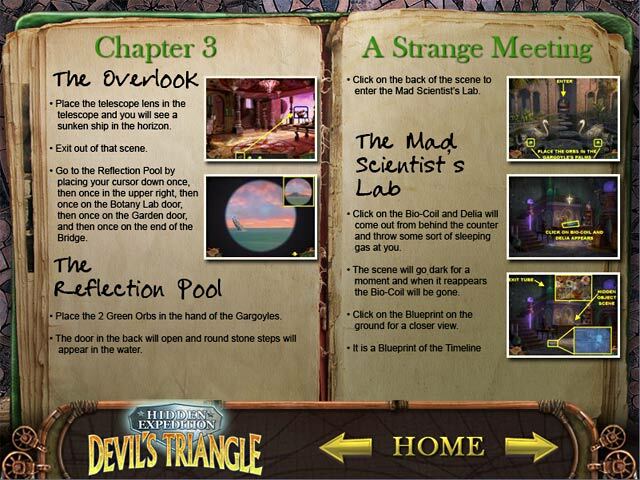 Interact with a colorful cast of characters that have been trapped in time, and save the day in Hidden Expedition: Devil`s Island! Solve the world`s greatest mystery! 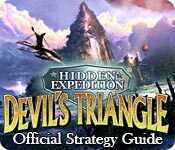 Hidden Expedition ® : Devil's Triangle Strategy Guide is rated 3.2 out of 5 by 5. Rated 5 out of 5 by marsto19 from Funny but Too bad Well.... when I was able to play it, I had a lot of fun with it, but since I got win 10, it will not run anymore.... too bad. Rated 5 out of 5 by scaramouch1019 from A Good, Challenging Game. The very first part of this game has presented a "mind blower", and makes me hungry for the nest level. Rated 2 out of 5 by Suesouix from Pirates Riddles I really liked the game when I started playing, but bought it too soon. Without any hints, it is more than difficult to figure what to do. I do not belief that you should have to buy a strategy guide to play any game. I know the creators are ok with this because they get the money for the game even if you can't play it & then make more money by requiring anyone to buy the strategy. I'm very surprised Big Fish would have this for sale. Rated 2 out of 5 by Yurnmesis from More Annoying than Fun The storyline was pretty good and might have been fun to finish and the HO games were well done, but the hints didn't work most of the time, so it left one confused what to do next. As the other reviewer said, you shouldn't have to buy a strategy guide to play a game! It was frustrating to the point that I finally just uninstalled it and deleted it from Big Fish. After all the work the developers went through to create this game it is a shame they didn't think the hint issue through a bit more. Rated 2 out of 5 by carolstrmy from Unbelievably Hard Hints did not work. I couldn't get off the beach. Own it, but will never play it again. I don't believe I should have to purchase a guide to lead me through a game.